Lafayette has had its share of “firsts.” The Lafayette Interurban power plant, opened in 1906, supplied electricity to one of the nation’s first distributed power grids, and the nation’s first transcontinental phone lines, installed in 1914, traveled right through the middle of town. Between 1849 and 1870, California goldseekers — followed by the grand Concord Coaches of the Overland Express and Mail Co. — traveled the Cherokee Trail, an ancient north-south trading route overlapped today by U.S. Highway 287. • An explanation of sacred Native American trails in the Lafayette area. • Revealing details about the pre-Lafayette area’s relation to Kansas Territory, Nebraska Territory and the rogue Jefferson Territory. • Goldseeker Adolf Waneka’s early days at his first homestead south of Louisville. 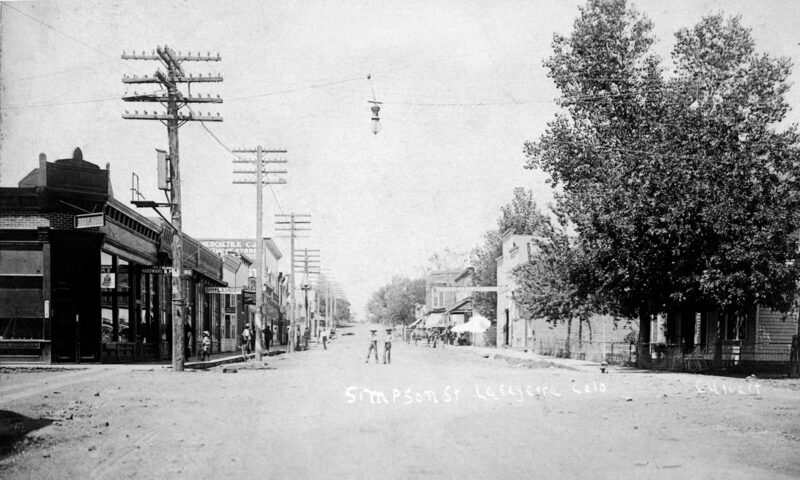 • How DeLafayette (who preferred the nickname “Lafe”) and Mary Miller’s early foray into saloon ownership influenced their lives and the founding of the town of Lafayette in 1888. • Updated information on the small-scale Dutch Colony craft brick works, a horse-powered enterprise that operated for a few years on the east side of town. • The unscrupulous business practices of early Lafayette resident James Cannon, Jr., who sank the Cannon Mine and went on to found Western U.S. coal industry giants United Coal Company and Northern Coal Company. • A Lafayette coal miner’s connection with author Upton Sinclair, who wrote “King Coal” in 1917. • The interesting life of the suave and charismatic E.E. Shumway, who founded the Rocky Mountain Fuel Company. • The sad tale of John H. Simpson, a trusting soul who sank the Simpson Mine in 1888. Simpson sold his interest in the mine in 1892 for over $150,000 in cash and stocks but died penniless in 1909. • Information about “The Silver Brick Case,” wherein a Lafayette-area property owner presented a 100-ounce silver brick at the Philadelphia Mint and demanded that it be made into silver dollars. • How Denver resident and coal prospector Walter H. Underwood came to own Lafayette’s first coal lease in 1881. • The influence of national temperance leaders John B. Gough and John B. Finch on town founder Mary Miller.